Recognizing the events of early Genesis in history brings the story of our origin into focus. It reveals itself to be the central events that brought about modern civilization and brings clarity both to the Genesis stories as well as to our history. It's these events that brought about the formation of the first modern civilizations. What once only seemed it could be mythology looks to be literal history. If we take the stories of early Genesis and use them to formulate a template of events along a timeline, it turns out we can actually locate when and where these events took place. What's probably most surprising is the distinct possibility that some of the more hard to believe details of the story may have actually been true. It's common nowadays for the bible to be dismissed as mythology. To view it as a product of simpler minds from simpler times. Archaic times that our modern search for knowledge has elevated us above. It has been all but set aside as irrelevant to modern society. This in spite of it continually proving itself to be more on point than many give it credit for the more we learn. For example, for decades the universe was thought to be eternal and stagnant by the scientific world. Yet discoveries by Edward Hubble and others in recent decades has revealed that on this point the bible was right all along. The universe does indeed have a beginning. A beginning that very much resembles what you'd expect given how it's described in that the universe just sprang forth in an instant from nothingness. A simplistic reading of Genesis leads to some glaring misconceptions. For example, most that read it come away with the conclusion that Adam was the first human to exist. Though there are portions of the story where it is made clear that 'others' existed beyond the garden. Others who shouldn't have in that context. Another common misconception is a global flood. The way the story is worded it certainly sounds like it's talking about a flood that covered the planet. Combine that with the global way in which the creation account is described and its understandable how one could reach this conclusion. But really, how can an author from that age have known if the whole planet was covered or not? Could they even have known what the whole world was at that time? Their entire world, as far as they were concerned, was the world they knew. Horizon to horizon. What should we expect to see? If we take the stories as described and allow ourselves to take them literally, take the timeline given as described, and look at the specific location given, what should we expect to see in the evidence surrounding these places and times if these stories actually happened? Let's break it down. Thanks to the breakdown of ages given in Genesis 5, we can form a rather specific timeline around these events from the creation of Adam up through the flood and Babel. For example, using what's given, we can determine that the flood happened 1656 years after Adam was created. The first significant event is the expulsion of Cain after he killed his brother, Abel. It is said in the story that Adam and Eve's son, Seth, was God's gift to them for their loss of Abel. 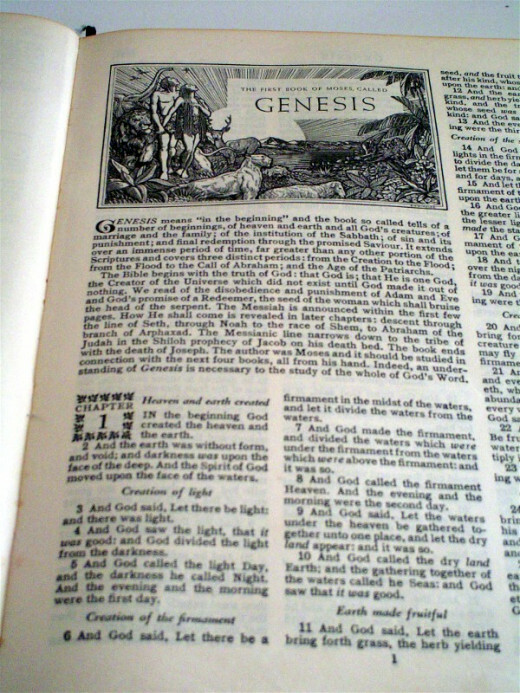 Genesis 5 days that Adam was 130 years old when Seth was born. So from this we can determine that Cain killed Abel and was banished within the first 130 years of Adam's life. From here it says that Cain went and lived in the "land of Nod, east of Eden". It then says that Cain built a city. According to the story, this would have been the first city built, as it is certainly the first mentioned. So, with just a casual glance over the story we've got a specific location, we've got the building of a city, then a flood roughly 1500 years later that ended their world, then an event similar to what's described in the Babel story where it says all the people were dispersed throughout the world, roughly a century after the flood. So, we're looking for a culture of some sort, that lasted roughly 1500 years, that included at least one city, and that ended with a cataclysmic flood. That's pretty specific. Add to that the dispersion of populations in the region roughly a century later and we've got ourselves a pretty detailed framework to work with. According to the timeline given, Abraham was born just under 2000 years after Adam. Abraham is depicted in the story as being the son of a man who was from Sumer and who interacted with the Egyptians. Considering Egypt wasn't around until roughly the middle of the 4th millennium BC, this means these stories could not have happened any earlier than roughly 5500 BC. Given this and the specifically given geographic location, this greatly limits the scale of investigation and practically pinpoints for us where exactly to look. So Is There Any Merit to any of this in the Evidence? YES - It turns out the first human city to ever exist was built in the Mesopotamian Valley right within the timeframe we're looking at. A culture known as the Ubaid culture, lasted roughly 1500 years (5500-4000BC). During this time they built multiple cities. The first ever to exist. Now it should be said that there were large human settlements that existed before these. But the Sumerian cities are the first to be classed as actual cities because they were the first cities to be centrally organized, with a ruling and a working class. YES - In the early 1900s, archaeologist Sir Leonard Whooley, while excavating at Sumerian sites, discovered evidence of a rather devistating flood. Silt deposits that actually fell between two different cultures meaning that this flood seems to have played a role in the end of the previous culture. 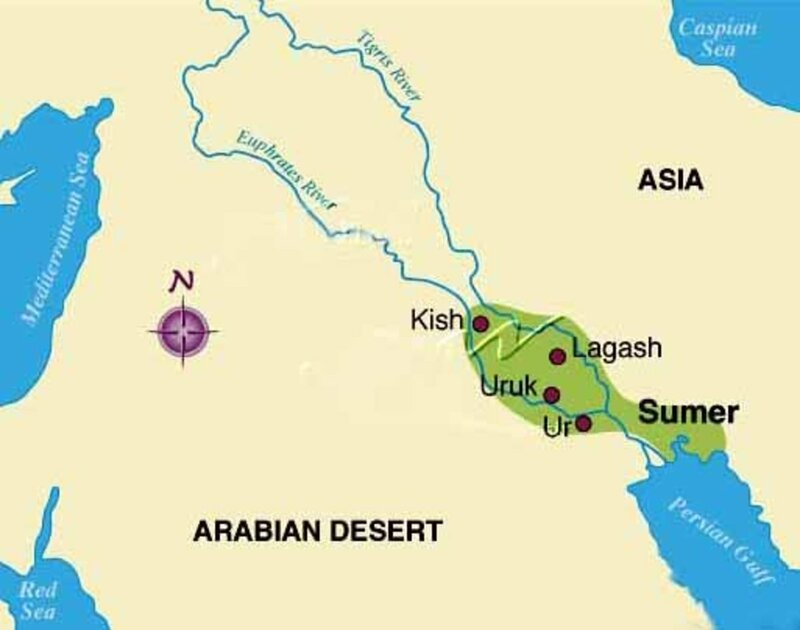 This flood is estimated to have happened roughly 4000BC, which places it right at the end of the Ubaid culture, and right at the beginning of the Uruk. 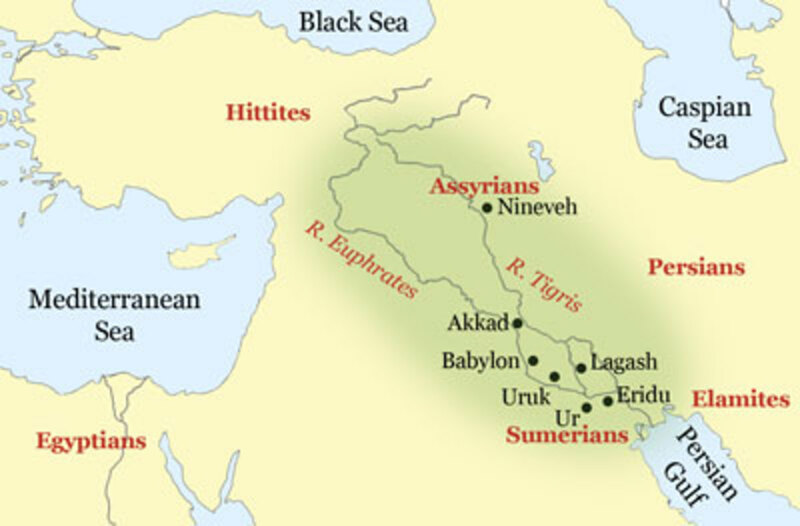 Two very similar, yet still considered separate, cultures of southern Mesopotamia. This coincides not only with the flood spoken of in Genesis, it not only falls right in line with the timeline we're looking at, but it also coincides with the Sumerian King's List, which agrees that the flood happened right before the establishment of Uruk. YES -Around 3900BC, just about a century after the flood above, there was a climatological event that is most commonly known as the 5.9 kiloyear event. A climate change that transformed the Sahara desert into an actual desert, also had a catastrophic impact on the Mesopotamian Valley. The populations that lived in that region were forced to disperse. They went in all directions, settling in cultures found along riverbanks in the surrounding areas. Like with the Egyptians along the Nile river to the East. A fact that Egyptian historical records agree with as Egyptian written history begins against a backdrop of a growing desert with new settlers coming in from. As well as to the north in Akad and into Europe (Greece, Rome, etc), and to the East in the Indus Valley culture. And, there happens to be the base of what appears to have been a tower at the Sumerian site of Eridu. In fact this climate event is recognized as being a direct catalyst that brought about civilization in many of these regions. People of the Mesopotamian valley were pioneers of civilization. When they were forced to relocate, they brought civilization with them. They mixed with other cultures, far separated from one another, which of course would have confused their languages over time. But in each case, not long after this climate event, we begin to see some of the same things first seen in Sumer. For instance, in every culture came the establishment of a written language, where this had only happened in Sumer prior. All of these cultures are now recognized for their various achievements, like the pyramids, the use of medicine, surgeries, and on and on. So, it would seem that if we're to take the story of Babel seriously in Genesis, it coincides with an event that literally played a crucial role in the establishment of many of the world's first ancient cultures. 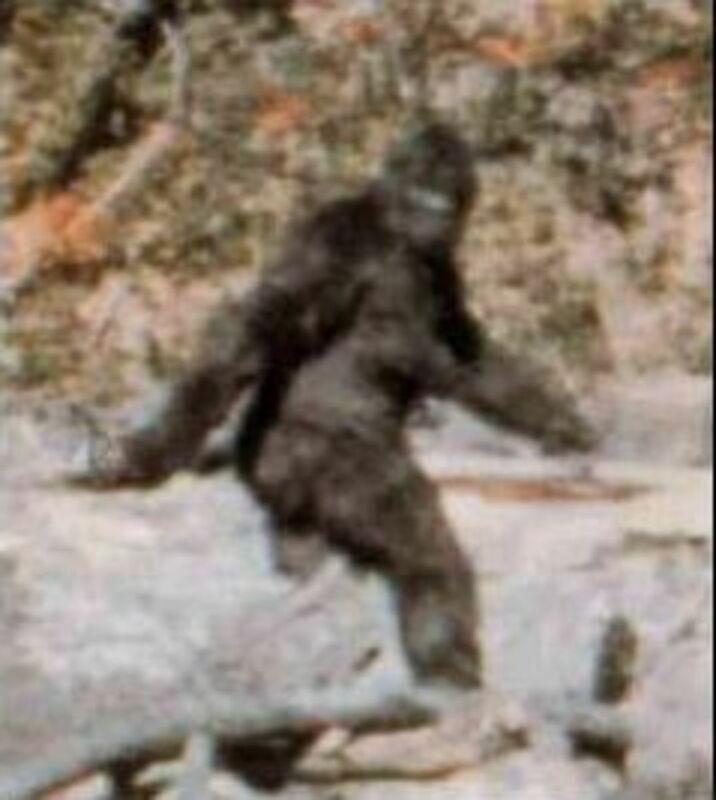 This one event, more than any other, seems to be directly associated with the onset of modern human civilization. The world that the stories of Genesis are set against after the events of Babel where Sumer and Egypt exist. It all fits together. YES, actually - If we look at the ancient documents not of the bible from the Mesopotamian valley, primarily Sumerian-written texts, we find that there are many similarities to what's claimed to have happened in Genesis. The Sumerians also wrote of a devastating flood, a flood that they too claim was survived by one man who knew ahead of time, built a boat, and saved a handful of people and a bunch of animals. And they too speak of a once universal language being confused into many, and they too speak of lifespans being incredibly long before the flood, and gradually declining afterwards. What's really interesting is that according to the Sumerians, there were these gods who lived amongst them, who lived long lives, who the Sumerians claim actually taught them the ways of civilization. We know the Sumerians were the first to do many, many things. But it's not yet understood exactly why they did so many things first. It's often assumed that because they were the first to figure out advanced water irrigation practices, that there ability to build highly populated cities attributed to humans working more closely together, resulting in a boom of inventions and technical capability and know-how. However, the Sumerians were not the first to do this. There were highly populated cultures built to the north thousands of years prior. Yet nothing like the boom in inventions is seen in these cultures. 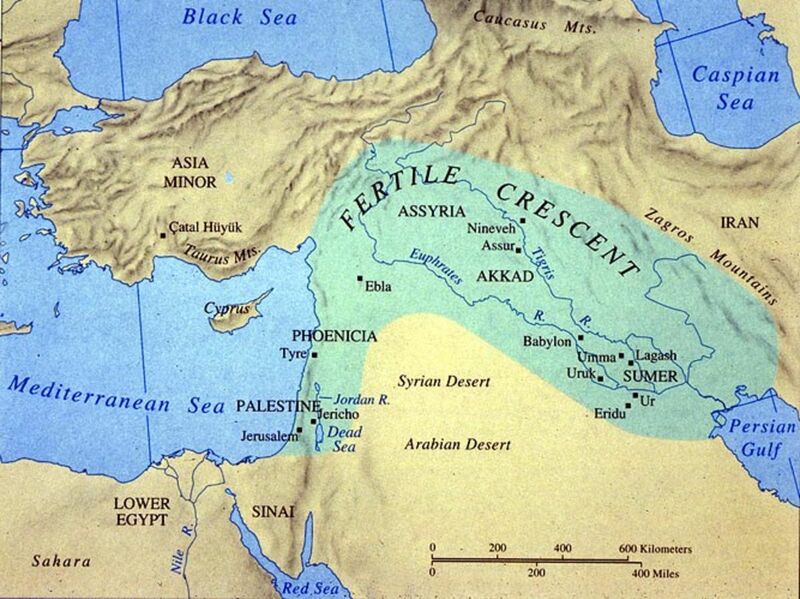 So, this would mean Adam and Eve would have been created somewhere in the Mesopotamian Valley around 5500 BC. A garden coming about in a region formerly desolate and dry isn't out of the question given the many climate changes that happened in that part of the world during that time. Within a century or so Cain got kicked out of the garden. 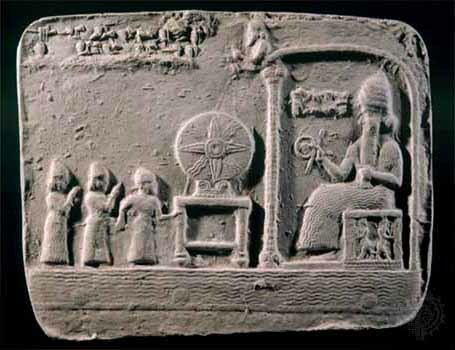 According to the Sumerians there was a god named Enki that just showed up one day and taught them how to build cities and irrigate crops and such. Cain was sent away into exile where it was only going to be him and his wife and kids, yet builds a city not long after. And according to the Sumerians a god showed up one day and taught them how to build a city. Coincidence? We then have the world's first modern civilization coming about right there in that part of the world and lasting roughly the same length of time as pre-flood Genesis. Well, what if? What if these stories are more legitimate than we normally allow ourselves to consider. We assume nowadays that these stories about these gods were how the Sumerian people rationalized to themselves the unknowns of the natural world. They must have just attributed things to these imagined gods. Well, among many other things, the Sumerians were the first to invent writing, astronomy, and mathematics. They weren't typically the type you'd think of to be given to imaginative flights of fancy. They invented mathematics and astronomy in an attempt to make concrete sense of the natural world around them. To consider even further, it wasn't just the Sumerians that spoke of these god-like figures. Practically every culture from that part of the world told very similar stories. The Greeks, the Romans, the Egyptians. They all had very similar stories about god-like beings living amongst them, procreating with them. And it turns out, the bible supports this too. Within the stories around Abraham's time there are stories that speak of 'other' gods. Lines of scripture that often cause confusion in the reader that the bible would even speak of the existence of other gods. But there were other gods that the people of these times worshipped. Joshua 24:2 - Joshua said to all the people, "This is what the LORD, the God of Israel, says: 'Long ago your ancestors, including Terah the father of Abraham and Nahor, lived beyond the Euphrates River and worshiped other gods. 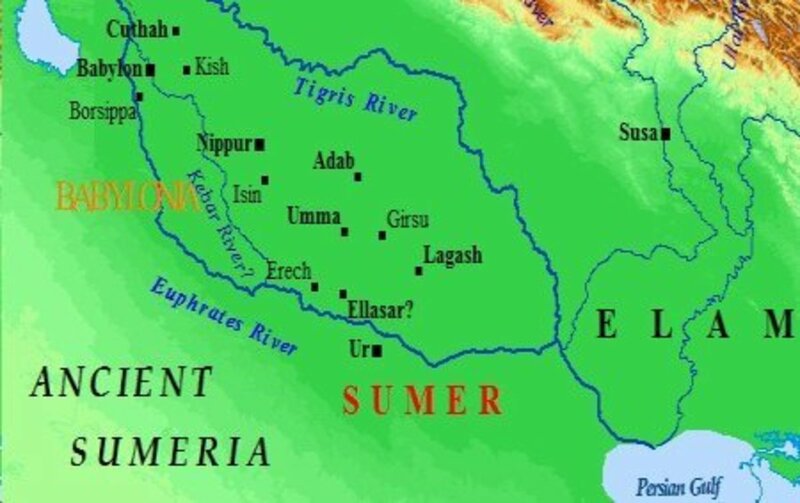 Abraham's father 'lived beyond the Euphrates River' is in reference to him being from Sumer, where we now know there actually were people known as Sumerians who actually did worship other gods. According to their stories, these gods actually interacted with them, actually lived in the temples found at the center of each Sumerian city, and in many cases actually procreated with mortal humans, spawning demigods. Gilgamesh, famous for being the first hero of one of the first pieces of literature ever written, was a demi-god. So, if beings like Adam and Eve and his family actually existed at one time, were actually created in an already populated region of the world, then they would seem god-like to mortal humans. They'd most certainly have an impact that very closely resembles what we actually see. I want to dismiss this as obvious nonsense, but can't find a single legitimate reason to do so. 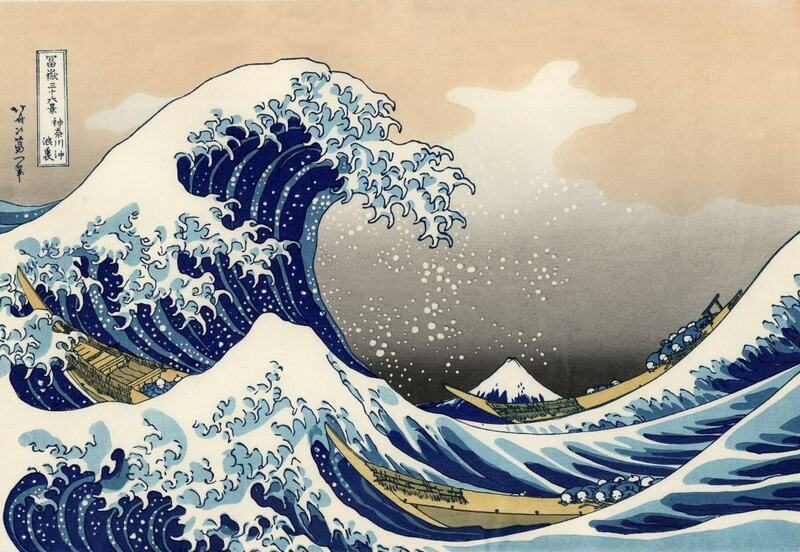 Why do Most Cultures Have Flood Myths and Stories? Examples of Genetic Memory or Something Else? I'm glad to hear it. It was something that nagged at me for a long time too. Jeremy I have spent so much time lately trying to figure out Adam and Eve and the flood and how there are different races older around the world and that the flood must have been local to make sense, it was protecting the timeline to Jesus not the entire planet that the authors wouldn't have even been aware of. You have really helped settle my mind with the two Genesis event explanations. HeadlyvonNoggin has finally displayed some laconic succinctness. See, being terse isn't so bad. Now, if we could just simplify the rest of this chaotic world... Ha! Oh, but ain't that how it always STARTS? We are talking about Genesis, right? Ha-ha! Yes, it WAS in a pristine, virgin-like condition. Dang, the comment field is almost in a pristine, virgin-like condition at the moment. What is wrong with this Hub? LOL! Yeah, as the old adage states, the truth is often stranger than fiction; go figure!